Landlords spend a great deal of time, effort, and money trying to find the ideal tenants for their rental units. In most cases, landlords are having complete strangers move into their homes. Marketing the property, reviewing applications, screening credit and background histories, checking references, and negotiating appropriate lease terms are all necessary steps to decrease the risk of poor tenants, evictions, and vacancies. Even then, applicants who look perfect on paper may still turn out to be terrible tenants. What many landlords seem to ignore is dedicating the same effort to retaining high quality tenants. Think about it. These tenants are no longer strangers in the sense that there is history of them paying rent on time, taking care of the property, and being respectful to neighbors. The risk is now much less than when they were applicants. Landlords often make the mistake of thinking that just by doing their duties as defined in the lease, good tenants will stay. No! Go above and beyond to retain them! In a prior article, 7 Ways to Make Your Landlord Appreciate You, we provided tips to tenants on how to get in their landlords’ good graces. As we know, a harmonious landlord-tenant relationship must be a two-way street so how about on the landlord side? What can landlords do to keep good tenants? First, the obvious. I won’t spend much time on this one in this article. Check out The Consensus Top Landlord Mistakes for more tips. No, you don’t need to grow a belly and beard (unless you want to). 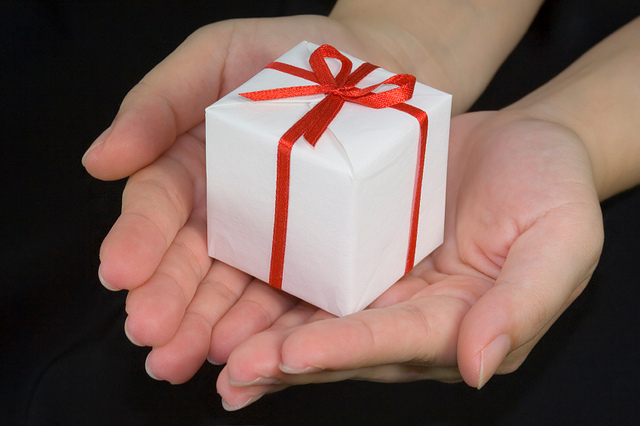 However, you should reward good tenants periodically with small gifts. Make them feel special. During your next inspection, bring a bottle of wine for your tenants. People appreciate wine because even if they don’t drink it, it’s easy to re-gift. The inspection is a good time to do this since it’s a scheduled meeting. You’re not randomly showing up to the apartment, which some tenants consider to be intrusive. During the holidays, send your tenants a gift card to use at a coffee shop, bakery, or grocery store. Give your tenants’ kids something playful like a funny t-shirt or a stuffed animal. Parents are happy when their kids are happy. You will be surprised how much appreciation your tenants will show for things that do not require much effort on your part. Oh, did you know these gifts are tax deductible? The IRS limits the allowable business expense to just $25 per person per year, but hey, why not write it off? You’ll also find you probably won’t be spending much more than that, especially if you have multiple tenants living in the same unit. Slickdeals.net is my favorite deals site. Whenever I need to buy anything, I search there first to see where the discounts are. I’ve saved quite a bit by taking this extra minute before making a purchase. Do this search for your tenants by creating a list of local businesses that offer discounts. It’s also a great way to welcome new tenants to the neighborhood. Do you personally know local business owners? 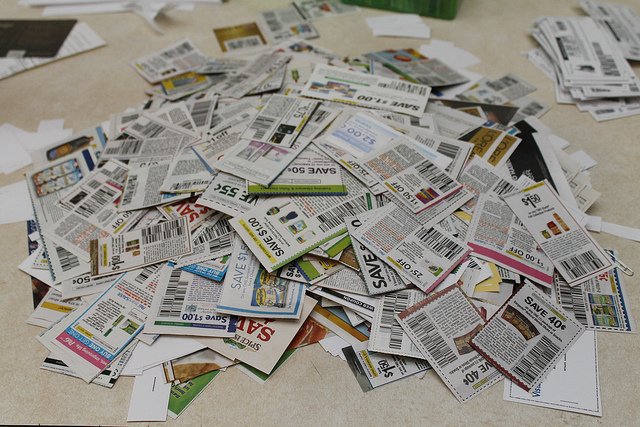 Even if you don’t, stop by local shops and ask if they would be willing to offer discounts to your tenants. Businesses are incentivized to say yes because local customers are more likely to be loyal and also refer their friends through word of mouth. Some local businesses to target are pizzerias, flower shops, fitness studios, boutique cafes, and neighborhood restaurants. If they say no, then *shrugs*, oh well. There is no harm in trying. Better yet, are you a business owner yourself? Offer your tenants discounts. I recall a story from a landlord who also owned a pizzeria. His tenants loved pizza so he gave them a generous discount and they ordered from his restaurant all the time. The tenants’ appetites were happily satisfied (it’s pizza!) and the landlord generated additional revenue for his business. Win, win. 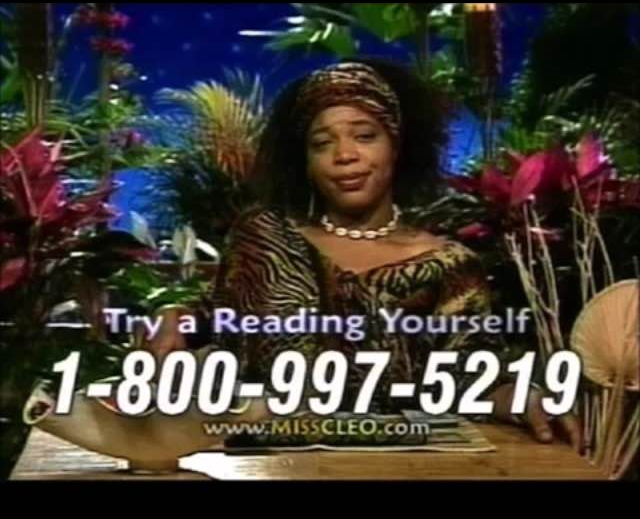 Does Miss Cleo have psychic powers? Not according to the Feds. Thankfully, predicting appliance failures doesn’t require psychic powers. For each major appliance, keep track of its age, remaining life expectancy, warranty terms, and note prior issues. This will help you anticipate repairs and prioritize which appliances to upgrade next. Pro-actively upgrade appliances that generally don’t work well or are nearing the end of their lifecycles. Don’t wait for something to break down completely before you do anything about it. Your tenants will appreciate that you are taking initiative. Old appliances can end up costing more because they lack efficiency and increase the household’s energy cost. Plus, safety is also a big concern. Some appliances (or parts in them) to consider upgrading are the air conditioner, dishwasher, washing machine, dryer, refrigerator, microwave, carpeting/flooring, and lighting. A good time to evaluate whether upgrades are needed is near the end of the lease. You can justify a portion of the rent increase to capital improvements. Tenants are more receptive to the rent increase when they see upgrades made directly to their home. Remember that search engine (more like a gimmick) from the late 90s that got pretty popular? 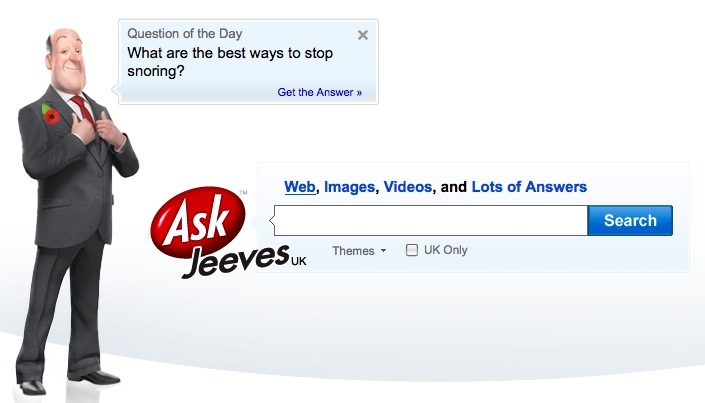 You type in a question and ‘Jeeves’ is supposed to provide answers. Except you usually never get a straight answer and are likely to see results that are totally irrelevant to what you asked. I promise that your tenants’ answers will be more direct than Jeeves’. For some reason, landlords don’t simply ask their tenants what they want in order for them to renew their lease. Take the guess work out of it. Set expectations so that tenants know a full kitchen renovation probably isn’t realistic. It may surprise you to hear requests that you consider to be trivial but tenants actually value a lot. Landlords, what retention methods do you use to keep good tenants? Tenants, which incentives would you appreciate the most? Being responsive is probably the most important thing any landlord can do to get on their tenants good side. 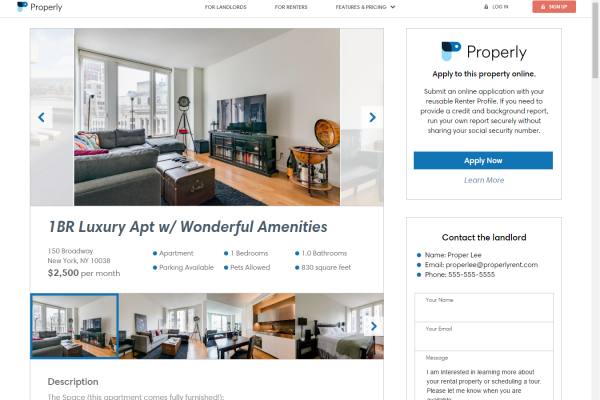 If you look at people complaining on social media about their rental situation it typically has to do with a non-responsive or non-helpful landlord. Yep and it’s perfectly fine for a landlord to say “I’ll need a few days to find out and get back to you”. Not responding for days or weeks while working on the issue can make the tenant think the landlord is ignoring. Be responsive even if it’s a simple status update. Great tips! I do think if it’s a “disaster” type scenario (i.e. appliance broken, something leaking, etc.) you need to address it ASAP. Some things can be put off for a few days, but some things need to be tackled immediately. Thanks David, I completely agree with you. Gosh, everything you listed under #1 is huge. I think a lot of good landlords do the first few things (keeping on top of maintenance, being fair, and being responsive), but I think setting expectations is one of the most important and overlooked factors. It may be fair for a landlord to say “no” to a tenant in certain situations, but if you really want to keep your tenant happy, it’s sometimes a good idea to say “yes, but just this one time, but I don’t typically do it this way, so in the future, do it this other way instead or I will have to say no.” Then the tenant knows you’re being flexible and trying to help out, but you’re setting expectations for what they need to do in the future. I find it interesting that you would ask tenants what they want in order to renew their lease. For my part, I generally don’t do renewal leases, I like converting them to month to month after the initial lease term expires. It gives me more flexibility later regarding giving them notice to move out (if they’re terrible) or waiting to raise the rents until summer instead of doing it when the lease renews, which may be at an inopportune time (like right before the holidays). That might be an interesting blog post, to see whether landlords prefer to renew for successive lease terms or whether they prefer month to month. Fantastic tip on setting expectations! It’s a great way of showing you are flexible but also making sure the tenants know you are not a pushover. Asking tenants what they want in order to renew the lease is a way to help retain an awesome tenant that is considering moving. Good tenants can save landlords a great deal of stress – i.e. not worrying whether about rent being late, damage to the property, and unreasonable noise levels disturbing the neighbors at night. These are reasons that I’d be perfectly fine with sacrificing a bit on rent or some other incentive to retain the tenant. Interesting suggestion about month-to-month leases. This is something I’ve not dealt with yet. I’d be very interested in hearing your experience with them. Do you prefer this type of lease for renewing your best tenants as well? Great list, George! Although I don’t manage my own properties, I can certainly imagine the goodwill that your suggested gestures would make with a tenant. Ultimately, it’s running a business and keeping your customers happy will typically pay dividends far into the future. Thanks, Michael! Very true, managing properties is indeed like running a business. It pays to incentive good customers to return. The most costly thing to rental business is turnover. It will cost landlord time, effort, and money. That’s why it’s important for homeowners to know how to keep great renters. You made excellent tips here. Especially I like one about gifts. How nice it is. Meanwhile, I found one more good recommendation here https://rentberry.com/blog/tenant-turnover. I’m speaking about rent raising. When lease comes due, this is the time to adjust the rent if the market allows landlord to do so. But it should be done very carefully.